An erroneous belief that relevance of oil approximates to the life span of Nigeria’s oil reserves partially fuels the contentment with which the authorities treat diversification of the economy. Concerns over dependence of the economy on oil raged more than three decades ago. Now the issue is total dependence on oil, yet the matter is discussed as one of several issues beleaguering Nigeria. No, oil is about the only issue that makes and mars Nigeria with a rapacity that is lost on Nigerian leaders. 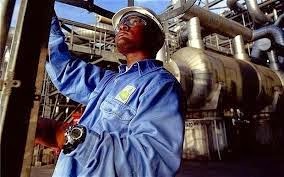 Nigeria is mostly about oil and its depleting consequences on developing national resources, some of which are in more abundance and could provide more multiplier effects on the economy than oil. Oil devastates with a rapidity few enterprises impose on its surroundings. The billions of Dollars it heaves into national coffers kills thoughts for the perpetual penury its exploration ordains for the surroundings. Agitations for equitable use of oil resources fail in securing renewal of the ruined environment. Perhaps more frightening, with all the positions on laying more solid foundations for the economy, away from the volatility of oil, not much has been done in more than 40 years oil assumed podium position in our economy. Oil could become irrelevant quicker than the most optimistic predictions. Its damages to the environment, its unpredictable high prices that task planning, even for the most advanced economies, the West’s inability to control the vital resource, are increasing the pace of searches for alternatives to oil. America is making advances in this direction. Plans for the Nigerian economy are primed on oil. They would have been as simple as re-investing some oil revenue in other sectors of the economy. They have remained unimplemented. Oil still accounts for 95 per cent of exports and 75 per cent of consolidated budgetary revenues. Its mismanagement throws the economy into a spin. When the prices dip, or more thieves help themselves to the oil, as seems to be the case now, the economy wheels almost to a halt. Conferences have drawn attention to the precariousness of oil-based economy in the past years. They have ended without the authorities taking the economy away from the grip of oil. Without a thorough planning of the economy, an indiscernible future awaits Nigerians. Our governments should rescue Nigerians from the blight of oil.